Dimensions 5 1/2" x 8 1/8"
Classic Linen is a subtle linen finish paper that is the standard of the paper industry. Classic Linen is known for its quality, as well its fine palette of colors. A8 envelopes coverted with 80# text Classic Linen epic black can be used in a multitude of applications. Classic Linen is manufactured by Neenah Paper in the usa. Classic Linen epic black is recycled 30% post consumer waste. Classic Linen epic black is also acid free, lignin free, ph neutral, archival properties. 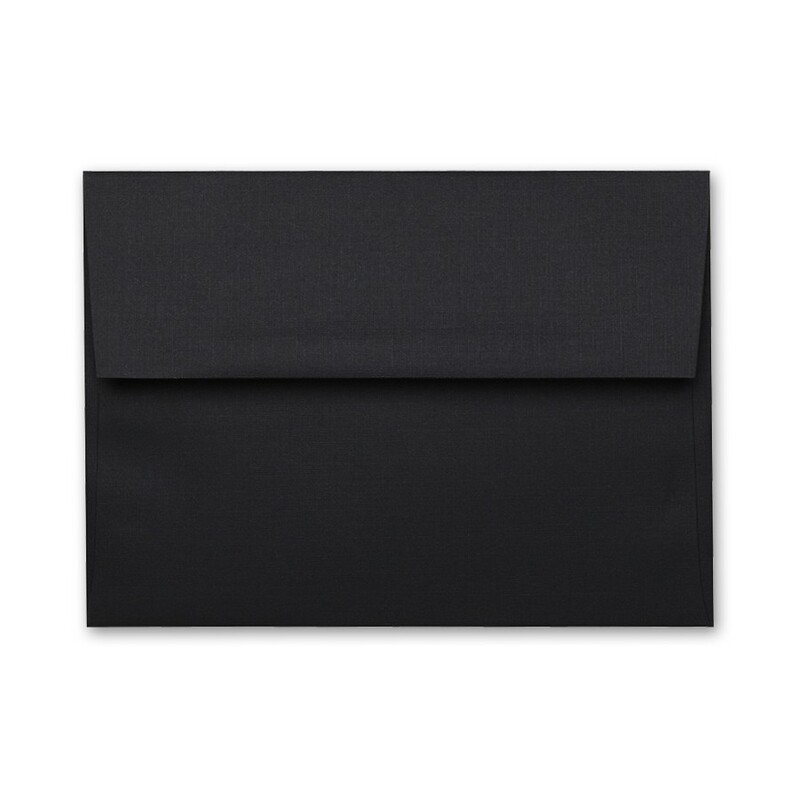 A8 envelopes coverted with 80# text Classic Linen epic black bulk pack of 250 is a stocked product by Announcement Converters ready to ship the same day.